New, 2nd edition, with a new cover (not yet pictured). 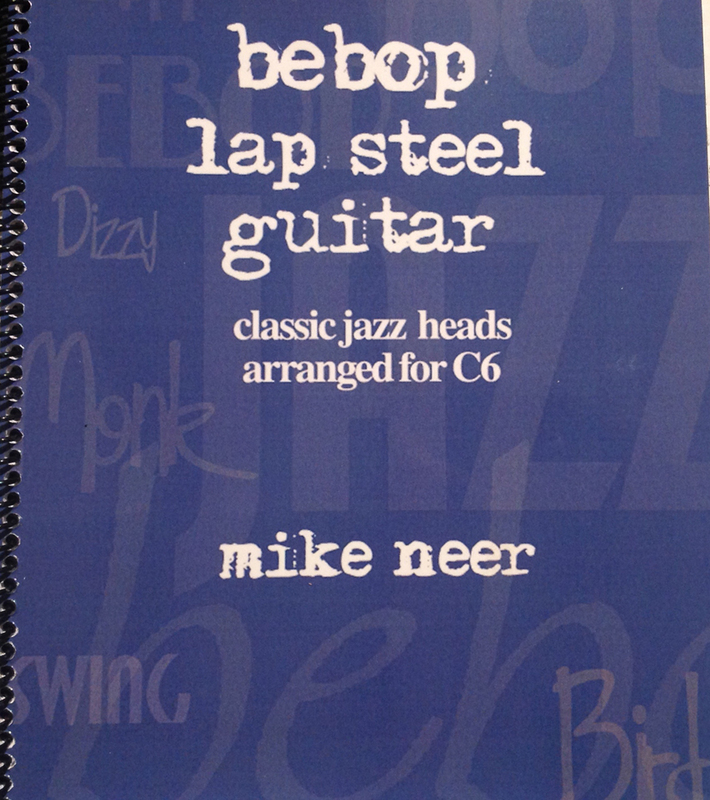 Now available is a print edition of the Bebop Lap Steel Guitar book. The book is 53 pp., spiral bound, with a new cover. You will also have access to the audio files, members only blog, etc. The book is now only $19.95 plus shipping. 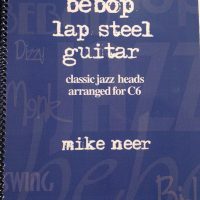 Bebop Lap Steel Guitar: An Introduction to Bebop Tunes in C6 Tuning is intended to open up the C6 tuning for you in a way that haven't seen before. Using a vertical approach (along the length of the neck), you will see how it is possible to play more challenging single note passages in an easier way. This type of playing allows you to articulate more cleanly. You will also see how to approach "comping chords", as each tune has the chords tabbed as well. Finally, there is a section on the "Vertical Approach" with several pages of exercises on scales, including Major, Whole Tone, Chromatic and Diminished. You haven't seen anything like this before. Purchasers of this pkg. will also have access to downloading all the files (play-along tracks, Tabledit files, and eBook) through our member's only page.